On June 4, a United Airlines flight from Chicago is scheduled to land at Heathrow as the first flight in London Heathrow’s spectacular new Terminal 2. Calling airports “the cathedrals of the 20th century,” architect Luis Vidal created a beautiful airy structure completely open to sunlight with a roof that allows for the control of natural light flow. According to designers it is the world’s most sustainable terminal yet, it will also help sustain Heathrow’s place as the top European gateway for U.S. travelers. Recognizing that the competition for European hub status has grown more intense and is likely to grow more so, Heathrow, the world’s busiest international airport, has invested £11 billion ($18.3 billion) in the last decade to maintain its lead over such established competitors as Amsterdam’s Schiphol and Frankfurt International and an increased competition that is likely to come from Paris-Charles de Gaulle, which recently revealed a new “Future Hub” master plan. “Building on the success of Terminal 5, it (Terminal 2) will bring together technology, architecture and human touches,” said John Holland-Kaye, Heathrow’s development director. Take a look at the vision below. Heathrow’s investments will be beneficial to American fliers as Terminal 2 and Terminal 5, with completely modernized facilities, will handle 75 percent of all U.S. fliers. Terminals 3 and 4 have also been revitalized. Heathrow has become a home away from home for U.S. travelers. It facilitates 65,000 flights and 16 million passengers to and from the U.S. every year. To New York alone, those numbers are 13,000 flights and 3 million passengers, about a third of them transferring to other cities. 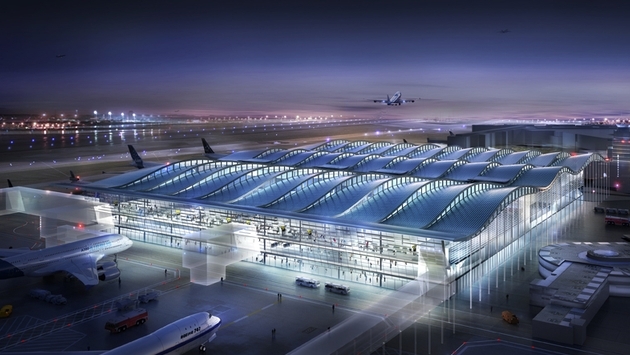 The new £2.5 billion ($4.14 billion) Terminal 2 will be London’s new STAR Alliance home. 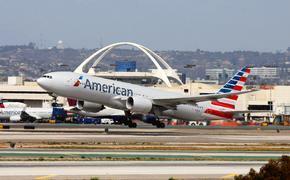 Twenty-two STAR Alliance carriers will use the terminal including United and US Airways. Aer Lingus, Virgin Atlantic Little Red and Germanwings carriers will also use the terminal. For United and US Airways passengers it means transiting within the terminal to other connections and that’s something that’s important to American travelers who don’t like transferring from one terminal to another. Terminal 2 was built from the ground-up on the footprint of the now demolished 1955 structure, which was opened by the Queen in 1955, and demolished after 54 years of service. Designed to host 1.2 million passengers a year, when it closed in 2009 it was handling 8 million passengers a year when it closed. The new terminal will be able to handle 20 million. The £5 billion Terminal 5 opened in 2008, helping British Airways to improve punctuality, baggage performance and customer satisfaction scores. So-called “soft facilities’ are an important points of distinction in the competition between airports. New features from cinemas to day care centers are being added to compel travelers to route their journeys through the modern airport. “We have adapted, adding a lot of leisure facilities, in order to recognize that for many travelers airports are places to achieve objectives while you’re on the move,” said Simon Baugh, Heathrow’s director of media and communications. “Spas are particularly important right now,” he said. Polls show that the first criteria of travelers is connectivity and convenience. Cost comes second and after that consumers choose based on previous experiences good or bad. “It’s our mission to pleasantly surprise the traveler,” said Baugh. One competitive obstacle that Heathrow must overcome is Britain’s onerous Airport Departure Tax (ADP) that will be increased once again on April 1 when Americans departing London for the U.S. will have to pay £69 per head ($113.24) up from £67 for economy class tickets. Business and first class ADP tax will increase from £134 to £138 ($226.49). The ADP’s top rate is some 8.5 times the average of other countries in Europe that still levy a charge.